Editorials Will Iris Scanner Be The Next Big Step Towards Smartphone Security? 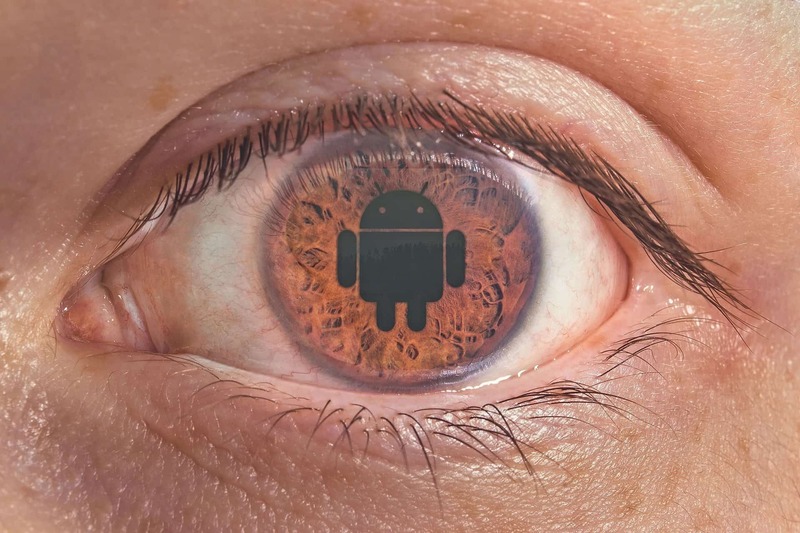 Will Iris Scanner Be The Next Big Step Towards Smartphone Security? 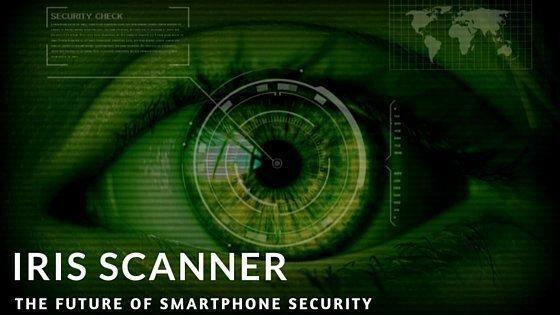 Probably, many of you have heard about Iris Scanner and maybe you have even heard that Iris Scanners may soon arrive on smartphones. But, how does it work? What is it exactly? Why another scanner? Why is it superior to other security authentication measures? Why are smartphones companies working hard on implementing it on their phones? What is the current trend going on? What is the future? Let’s find out, but before we start let’s understand the logic behind Iris scanner. The iris is the colored ring of muscle that opens and shuts the pupil of the eye like a camera shutter. The colored pattern of our irises is determined genetically when we’re in the womb but not fully formed until we’re aged about two. The color comes from a pigment called melanin. The more the amount of melanin, the browner your eyes will be. People with a lesser amount of melanin will have blue eyes. The color and pattern of people’s eyes are incredibly complex and unique. Even identical twins will have entirely different and unique iris patterns. The working on Iris scanner is complex, though we will try to explain in an easy way. There are two parts in the operation of iris scanner- (i) identification and enrollment (ii) Verification. This process is the beginning of using an iris scanner. In this process, the scanner takes the photographs of the iris twice- one in natural lighting condition and another in dark environment with the help of infrared. Infrared helps to show up the unique features of darkly colored eyes that are not clearly visible in ordinary light. These two samples are processed, and additional objects like eyelashes are removed. Then it identifies around 240 unique features (unique for every single eye) and converts the data into a 512-digit number called an IrisCode® that is stored for the next process, i.e., verification. The process is automatic and doesn’t take more than a few minutes. It is the process in which you get access to any data or device via the Iris scanner. When you look at the scanner, it will analyze your iris pattern again and will match the pattern with the one, which was recorded during the enrollment process. Upon successful matching, the scanner will identify you positively. First things first- What is it exactly? Iris is the colored part of your eye around the dark pupil in the center. A “blue eye” like this has less melanin (brown pigment). An Iris scanning is a biometric technique. Biometric means body measurement which enables us to measure various aspects of a human body. Iris scanning is nothing but scanning the Iris or a human being, with which we can identify a person given that we already have his IrisCode® in the database. We can compare the sample and the data collected to know whether someone is being impersonated or faked in any way. Before Iris scan, we have already seen fingerprint scanners on smartphones and the traditional smartphones being shipped with an inbuilt fingerprint scanner is increasing rapidly. Okay, now probably you have got a rough idea. Let’s take an example. You have got your passport, and you’re departing from your country to some foreign destination for a holiday. At the airport, apparently the security personnel will check your passport and what they do is they match the photo on your passport with your face- That is also bio-metrics. They compare your face with the picture and see whether all your organs like nose, eyes, lips match with the photo or not. Upon successful authentication, you are allowed to go outside of your country. Fingerprint scanning is also a way to authenticate your identity, like in offices fingerprint scanners are used to verify transactions or access important/confidential documents. Now you will certainly ask- Why another scanner? It is a very obvious question. We already had a password, PIN, pattern and now we also have fingerprint scanning. But, just think about the possibilities. Even if passwords or PINs are encrypted, it is not impossible to crack the code and exploit security. It is a threat to personal and corporate security as well, as many personal and confidential information can be leaked. To omit the chances of getting hacked, fingerprint scanning was introduced. But, even the fingerprint scanner is not free from flaws. Basic wear and tear, injuries can alter the pattern, and these can affect authentication procedure. But Iris scanning is a way to get rid of the problems as every single persons’ Iris is different and unique. So, we can use Iris scanners as a way to authenticate identity. How is it superior to others? Iris scanner is made to authenticate identity by scanning the iris of our eyes. No two persons have identical iris pattern. Neither you can get through it; it’s impossible. Also, Iris scanner is something that can be used anytime. While, fingerprint scanners have got some typical problems. One of the biggest problems with these fingerprint sensors is that whenever you try to access something with wet hands, it refuses to recognize your fingerprint. It is because moisture or water open the pore and the distorted finger pattern can not be identified by the scanner, and there is no entry for such patterns. But Iris scanners don’t have that kind of limitation. Another problem with the fingerprint scanner is that you can’t use it while wearing gloves, now not everyone lives in some hot or tropical countries so either you will have to put off your gloves, or you will have to use any other method instead. Iris scanners don’t have any problem even when you’re wearing specs. So, combining up everything, we can easily conclude that Iris scanners are way better than fingerprint scanners. Why are smartphone companies working hard to implement it on their devices? The answer is pretty simple- SECURITY. Also, iris scanner is way more convenient than fingerprint scanners. Why? I already explained the reasons. PINs and passwords can be cracked; fingerprint scanner, you never know if someone unlocks your phone with your finger when you’re asleep. So, security is the prime reason. However, iris scanner is far more convenient as well, you don’t need to remember those PINs, passwords or need to draw weird looking patterns over and over again. The current trend of fingerprint scanner of smartphones? Phones with iris scanners are not that kind of new technology. We have seen a couple of phones which can do this job. However, may of them used to rely on matching the blood vessel pattern in the user’s eye- this method is not that accurate as certain diseases may hurt the blood vessels and may get the user locked out of his devices. Though, there are some phones which rely on the pattern recognition, like Microsoft Lumia 950 XL, which is the first phone to run Windows 10 just like a desktop. The phone came with impressive specs as well 5.7 inches Quad HD AMOLED clear black display, Octacore Snapdragon 810 CPU, 3GB RAM, a shuddering 20MP primary camera equipped with Carl Zeiss optics and much more. The list is growing fast, and we have been watching this trend expanding fast. Some more examples include Fujitsu NX F-04G, Vivo X5Pro, ZTE Grand S3, Alcatel Idol 3, UMI Iron, etc. And the list is growing fast. With the availability of phones with iris scanners, prices are expected to go down. Just yesterday a phone worth around just $100 was launched with Iris Scanner. The phone, TLC 560 comes with specs just like any regular Android smartphones. However, the Iris scanner and a kickass price are bonus for all. Also, as per Evan Blass of @evleaks, Samsung Galaxy Note 7 will be coming with Iris Scanner. Remember the time of PINs on feature phones? Or maybe a password on new smartphones and patterns? Even patterns are getting obsolete recently, fingerprint scanner replacing them. That day is not far when we will have more security and convenience on our smartphones with Iris scanner. Along with that adoption, even the cost of the product will also go down slowly, and within a few years, Iris scanner will make the fingerprint scanners extinct.